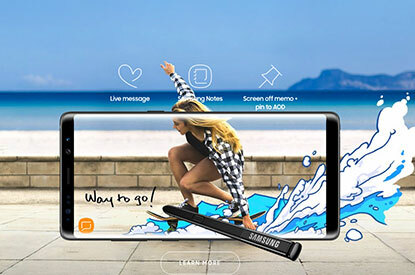 The eye popping Galaxy Note 8 is a sure stunner, with dazzling looks, an enormous 6.3 inch display and VR capabilities this device is the super hero of smartphones. With a bag full of awesome feature’s the Note 8 is arriving in a size that’s truly phab-ulous. Its whopping display size, latest Android operating system and high tech security makes this device an ultimate android machine that’s perfect to keep you connected to the world around you. 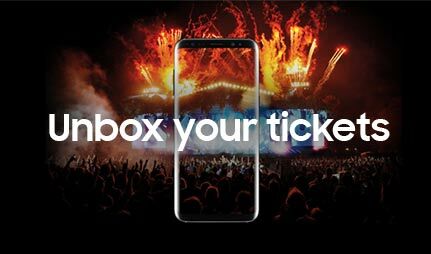 Claim free event tickets when you purchase a Samsung Galaxy S8, S8 Plus or Note 8 online at e2save.com, from 29.01.18 to 18.02.18. 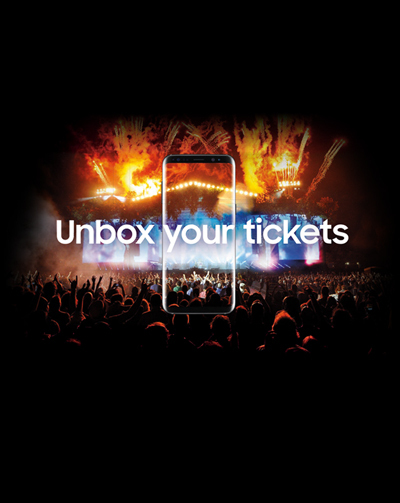 Once you’ve set up your new device, download the Samsung Members App and look out for the ‘Unbox your tickets’ banner. Simply enter your details then click submit, and you’ll receive email and SMS confirmation of your unique code (which may take up to 48hours). Once you’ve received your unique code, select an event from the gig list provided on the app, and follow the instructions onscreen. Please note that your tickets must be reserved before 4th March 2018, and will be emailed or sent to you by post before your chosen event. 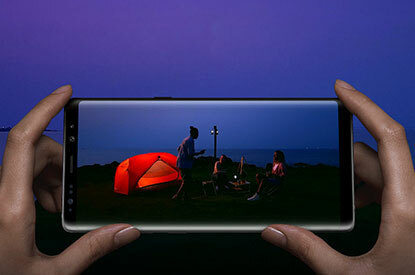 Jump in the world of gaming and work your way to the top with the insane visuals of the Note 8’s infinity display. 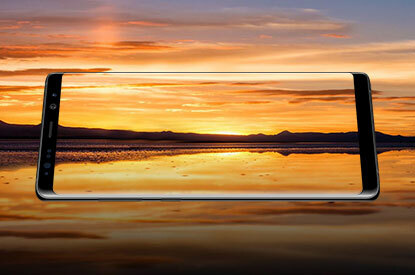 Measuring a whopping 6.3 inches the display has set new records as Samsung’s largest smartphone display to date. Samsung have wrapped the screen with Corning Gorilla Glass 5 protection for maximum protection against life’s little mistakes. Despite hosting on a mammoth screen the image quality and viewing experience continues to be top class, making this device the perfect companion for a weekend of Netflix binging with friends or alone. So grab the popcorn, pick a film and enjoying a viewing experience that’s pretty awesome. Packed with a dual lens 12MP camera, autofocus and smile/face detection the Note 8 rocks a superb camera that’s ready to capture all the moments you don’t want to miss. Snap all the best shots with friends, family or on your own thanks to clever camera placement, locked and loaded for glorious shots ready to share. Spin the device and you’re faced with an epic 8MP selfie cam, packed with a smart F1.7 lens for pin-sharp shots that are sure to make your friends double tap and share. This stunning device is definitely a selfie lover’s dream thanks to its solid camera system and incredible display. The impressive features don’t stop there. Samsung have yet again designed another awesome device that is both, water and dust resistant thanks to it being IP68 certified, meaning it can survive underwater for 30 minutes, pretty cool right? Another handy trick up the sleeve of the Note 8 comes with its battery charging facility. Speed is everything when it comes to charging and the Note 8 has speed down to a T, with superfast rapid charge so you can spend less time by the plug and more time chatting to mates.